For the second time in three years, EA Sports has canceled a game within weeks of release. 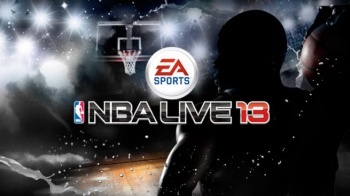 NBA Live used to be one of EA Sports' most prominent series, and the 2010 iteration of the game received generally favorable reviews. EA Sports attempted to take its basketball franchise in a different direction with by dropping Live and developing NBA Elite 11, but a bug-plagued demo caused it to be delayed and eventually canceled. NBA Live 13, due out in late 2012, was supposed to mark the series' comeback, but now it has also been canceled without ever having received a real release date. Executive Vice President Andrew Wilson broke the news on the NBA Live website, stating "after a lot of consideration, we have made the decision to not launch NBA Live 13." He added that the developers "made a commitment to deliver a high quality experience," and "we're just not there yet on NBA Live 13." Apparently the game had been planned to be released next month, but Wilson said that it became clear that NBA Live 13 wouldn't be ready for an October launch. "And rather than launch midway through the season, we're going to sit out the full year and stay focused on making next year's game great." Wilson said that Live would be back next year, and hoped that the decision to cancel Live 13 would give them a head start. "This decision puts us on the right track for success well into the future in a rapidly changing industry," he stated. EA Sports' inability to relaunch their basketball series for a second time has to be embarrassing for the developers, but it's a more admirable move than releasing a broken or inferior game. I don't know if many gamers are confident that EA Sports can bring back NBA Live next year, but Wilson is. "This wasn't an easy decision, but it's the right one for our fans. I hope you'll agree when you're able to play the game next year."